We also fulfil the small quantity requirement of Industrial grade chemicals & Minerals through eRetail and eCommerce portal. Boric acid, also called hydrogen borate, boracic acid, orthoboric acid and acidum boricum, is a weak, monobasic Lewis acid of boron often used as an antiseptic, insecticide, flame retardant, neutron absorber, or precursor to other chemical compounds.It is also used in the manufacturing of ramming mass, a fine silica-containing powder used for producing induction furnace linings and ceramics. Magnesium chloride is most commonly used for dust control and road stabilization. Its second-most common use is ice control. In addition to the production of magnesium metal, magnesium chloride also is used for a variety of other applications: fertilizer, mineral supplement for animals, wastewater treatment, wallboard, artificial seawater, feed supplement, textiles, paper, fireproofing agents, cements and refrigeration brine. Cream of tartar, more technically known as potassium hydrogen tartrate, is a fine white powder with many culinary applications. It is a byproduct of the winemaking process as the powder forms inside wine barrels during fermentation. 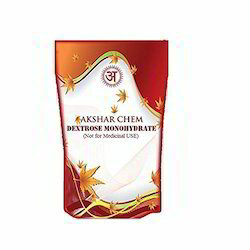 We are the leading manufacturers of Dextrose monohydrate 1kg. Oxalic acid is an organic substance (with the chemical formula H2C2O4) that occurs naturally in high levels in many common foods, including almonds.Oxalic acid forms various salts – known as oxalates – when it binds with minerals such as calcium and magnesium. We’ll refer to pure oxalic acid and its oxalates collectively as simply ‘oxalic acid’. Barium sulfate (or sulphate) is the inorganic compound with the chemical formula BaSO4.About 80% of the world's barium sulfate production, mostly purified mineral, is consumed as a component of oil well drilling fluid. It increases the density of the fluid, increasing the hydrostatic pressure in the well and reducing the chance of a blowout. Sodium alginate is also used as stabilizers in ice cream. The addition of sodium alginate reduces the formation of ice crystals during freezing, giving a smooth result.When sodium alginate is added to paint or dye, it increases the thickness of either substance. This is useful when trying to adjust the consistency of a product without changing its color. Sodium silicates are used in industry as adhesives, detergents, ingredients in cleaning compounds, cements, binders, and unique coatings, as well as coagulant aids, anticorrosives, catalyst bases, deflocculants, chemicals, zeolites, etc. It has high foaming characteristics, mildness, less resistant to hard water and excellent bio-degradable. AOS 1416 is used for high foaming liquid detergents, high quality sampoo, soap, bubble baths and light-duty liquid detergents. AOS 1418 is used for heavy-duty laundry formulations. Caustic Soda Lye is one of the most widely used chemicals in the industry. Caustic soda is a solution of Sodium hydroxide (NaOH) in water. It is a strong base with a wide range of applications in different industries.In addition, iron pick up is common in carbon steel storage vessels or in lined carbon steel storage vessels where the liner has been damaged. Therefore, minimizing its exposure to air and its direct contact with iron containing metals will extend the storage life of caustic soda solution. Zinc sulfate is used to supply zinc in animal feeds, fertilizers, and agricultural sprays. Zinc sulfate, like many zinc compounds, can be used to control moss growth on roofs. It is used as in electrolytes for zinc plating, as a mordant in dyeing, as a preservative for skins and leather, and in medicine as a supplement in oral rehydration therapy (ORT), an astringent, and an emetic. We are the leading manufacturers of Graphite Powder 1kg. Bentonite Powder is naturally occurring hydrated Aluminum Silicate. The most important use of Bentonite Powder is based on its natural swelling property.Its high absorbency makes it a useful substance in industrial applications, in products like kitty litter and even in natural medicine. Activated carbon, also called activated charcoal, is a form of carbon processed to have small, low-volume pores that increase the surface area available for adsorption or chemical reactions.It is used in gas purification, decaffeination, gold purification, metal extraction, water purification, medicine, sewage treatment, air filters in gas masks and respirators, filters in compressed air and many other applications. Copper Sulphate is a widely used chemical compound comprised of Copper, Sulphur and Oxygen whose formula is CuSO4. Crystals of Copper Sulphate are often bright blue and the substance was known once as Blue Vitriol or Bluestone. China clay\Kaolinite group clays undergo a series of phase transformations upon thermal treatment in air at atmospheric pressure. China Clay is also known as kaolin white clay. Primary clay formed by natural kaolinisation process. it is formed by decomposition of some part of feldspar mineral.White in color , Used in ceramic slip casting process, Pressing processes and forming process as a body former and filler. Prepared from cellulose by treatment with alkali and monochloro-acetic acid or its sodium salt. The article of commerce can be specified further by viscosity. CMC powder is widely used in the ice cream industry. Calcium carbonate is widely used as an extender in paints, in particular matte emulsion paint where typically 30% by weight of the paint is either chalk or marble. It is also a popular filler in plastics. Some typical examples include around 15 to 20% loading of chalk in unplasticized polyvinyl chloride (uPVC) drain pipe, 5 to 15% loading of stearate coated chalk or marble in uPVC window profile. Beeswax has long-standing applications in human food and flavoring. For example, it is used as a glazing agent, a sweetener, or as a light/heat source. It is edible, in the sense of having similar negligible toxicity to plant waxes.Beeswax has many and varied uses. Primarily, it is used by the bees in making their honeycombs. Apart from this use by bees, the use of beeswax has become widespread and varied. 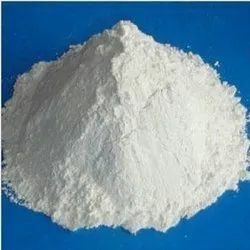 Alum Powder is the chemical compound made with a combination of various elements like potassium or ammonium with other metals like aluminium or chromium. Agar consists of a mixture of agarose and agaropectin. Agarose, the predominant component of agar, is a linear polymer, made up of the repeating monomeric unit of agarobiose. Agar is a polymer made up of subunits of the sugar galactose. Agar-agar is a natural vegetable gelatin counterpart. White and semi-translucent, it is sold in packages as washed and dried strips or in powdered form. Guar gum, also called guaran, is a galactomannan. It is primarily the ground endosperm of guar beans. The guar seeds are dehusked, milled and screened to obtain the guar gum. It is typically produced as a free-flowing, off-white powder.The world production for guar gum and its derivatives is about 1.0 Million tonnes. Industrial guar gum accounts for about 70% of the total demand. Calcium hydroxide, traditionally called slaked lime, is an inorganic compound with the chemical formula Ca(OH)2. It is a colorless crystal or white powder and is obtained when calcium oxide (called lime or quicklime) is mixed, or "slaked" with water. It has many names including hydrated lime, caustic lime, builders' lime, slack lime, cal, or pickling lime. Calcium hydroxide is used in many applications, including food preparation. Limewater is the common name for a saturated solution of calcium hydroxide. Gypsum also precipitates onto brackish water membranes, a phenomenon known as mineral salt scaling, such as during brackish water desalination of water with high concentrations of calcium and sulfate. Scaling decreases membrane life and productivity. This is one of the main obstacles in brackish water membrane desalination processes, such as reverse osmosis or nanofiltration. Ferrous sulfate are salts with the formula FeSO4.xH2O. These compounds exist most commonly as the heptahydrate (x = 7) but are known for several values of x. The hydrated form is used medically to treat iron deficiency, and also for industrial applications. Known since ancient times as copperas and as green vitriol, the blue-green heptahydrate is the most common form of this material. Silica gel is most commonly encountered in everyday life as beads in a small paper packet. In this form, it is used as a desiccant to control local humidity to avoid spoilage or degradation of some goods. Because silica gel can have added chemical indicators and absorbs moisture very well, silica gel packets usually bear warnings for the user not to eat the contents. The Mica Powder group of sheet silicate (phyllosilicate) minerals includes several closely related materials having nearly perfect basal cleavage.ie. minerals commonly occur as flakes, scales, or shreds. Sheet muscovite (white) mica is used in electronic insulators, paints, as joint cement, as a dusting agent, in well-drilling mud and lubricants, and in plastics, roofing, rubber, and welding rods. Soap Noodles are soap in the form of noodles. Soap Noodles are made through the blending of Oils, Caustic Soda (NaOH) coupled with moisture(water) and other raw materials of minute(small) quantity.il based soap manufacturers that do not have near/strategic access to palm/vegetable based oils depend on us to purchase their main raw material (Soap Noodles) from us for the manufacturing of finished soap products. The most important application areas are paints and varnishes as well as paper and plastics, which account for about 80% of the world's titanium dioxide consumption. Other pigment applications such as printing inks, fibers, rubber, cosmetic products and foodstuffs account for another 8%. The rest is used in other applications, for instance the production of technical pure titanium, glass and glass ceramics, electrical ceramics, catalysts, electric conductors and chemical intermediates. Tamarind is also high in pectin and is a good source of calcium, phosphorous, and potassium.Ii is used in Culinary and cosmetics etc. Maltodextrin is a polysaccharide that is used as a food additive.Maltodextrins are easily digestible carbohydrates made from natural corn starch. The starch is cooked, and then acid and/or enzymes are used to break the starch into smaller polymers (a process similar to that used by the body to digest carbohydrate). Maltodextrins are not made from or contain malt products. 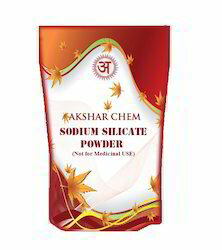 Looking for Akshar Chem ?